Creating an indoor oasis is the perfect remedy for a bad case of the winter blues. Fortunately for us, the interior of the modern home is very similar to the dimly lit floor of the tropical forests from which many of our houseplants originate. Knowing what part of the world your plant comes from will give you clues to its preferred growing conditions. Indoor plants are not only pretty, they create oxygen, reduce dust, humidify the air and generally make the atmosphere healthier. Here are a few of the 'Hard to Kill' plants. If you are a beginner, or just want something that's easy to grow, these plants may be of interest to you! Deciding what houseplant to buy will largely be determined by how much light you have in your home. The duration (number of hours) and the intensity of sunlight are the main considerations when choosing a plant for inside your home. Temperature is also a factor as some windows can be warmer than others. 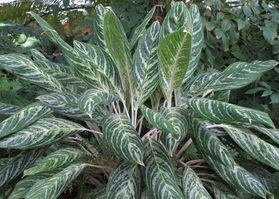 Except for the very darkest areas of your home you can always find a plant to suit your needs. Windows which face north are considered to be low light. This is true because the sun does not typically shine directly through this exposure. Plants chosen for this location should be low light tolerant. West facing windows tend to be warm and receive higher light intensity than east windows. Plants which would do well here require bright, indirect or direct light with 2 to 4 hours of direct sunlight. East facing windows are generally characterized as being cool with indirect light. Plants selected for this window should prefer bright, indirect light with no more than 2 to 4 hours of direct sunlight. Southern exposures receive the greatest amount of direct light and are also considered the hottest. This window is ideal for plants which enjoy strong light intensities and high temperatures such as cacti and many flowering plants. Indoor Plants for a Healthier You! Studies have shown that people spend, on average, about 90% of their time indoors. Thus, indoor air quality is very important to our overall health. In addition to their beauty, indoor plants help to purify our air of volitile organic compounds (VOC's) such as formaldehyde and carbon monoxide. Plants also remove carbon dioxide and produce fresh, clean oxygen. Indoor plants lift our spirits, make us more productive at work and beautify our environment! The following chart lists some common indoor houseplants and the toxins that they remove from our air. Clean Your Air with Crispy Wave! New from Aerify Plants is 'Crispy Wave' (Japanese Asplenium nidus Fern). 'Crispy Wave' has been proven to effectively remove harmful particles from the air and converts CO2 to oxygen at a higher rate than other plants. The waviness of the Crispy Wave's fronds increases their actual surface area compared to other ferns which, according to NASA's air purifying plant study, is the number one factor in determining a plant's oxygen producing capabilities. 'Crispy Wave' prefers low to medium sunlight. Water weekly when dry, and fertilize monthly with a liquid fertilizer. Learn more by visiting Aerify Plants! You can have happy and healthy houseplants by following a few simple steps. First learn what kind of environment your plant prefers. Read plant tags for care information. Don't love your plants to death. Most plants die from over watering...when in doubt let them dry out! Plants need a thorough watering, even if it's delivered irregularly. Water thoroughly, not just an occasional drop or two as you pass by. Add room temperature water until it flows out the drainage hole in the bottom of the container. 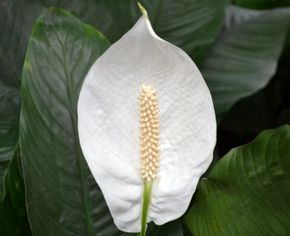 Many indoor plants have tropical origins. They prefer a moist humid atmosphere like a greenhouse. In the drier air of your home you can add humidity by grouping plants together. You can also fill a tray with pebbles, add water and set the pot on top of the pebbles. In general, temperatures between 65 degrees F and 75 degrees F are great for most houseplants. Temperatures about ten degrees cooler at night are also good. Avoid placing plants near heating or air conditioning vents and also keep them away from cold drafts such as by a door or window. Don't over do it! During spring and summer, the active growing season, use a general purpose fertilizer diluted to half strength when you water. During fall and winter, when most plants stop growing, do not fertilize at all. Keep your plants foliage clean. Simply wipe the dust off of the leaves with a damp cloth or take them to a shower and give them a bath. This will keep insect pests at bay and provide the extra humidity your plants love. 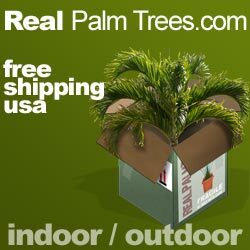 Select plants based on the amount of natural light which is available in your home. You can also supplement this with artificial light if necessary. 'Grow lights' and fluorescent bulbs provide a good amount of light. Place these as close to your plant as possible. Download a free guide to growing Aglaonemas. Download a free guide to growing cacti & succulents.